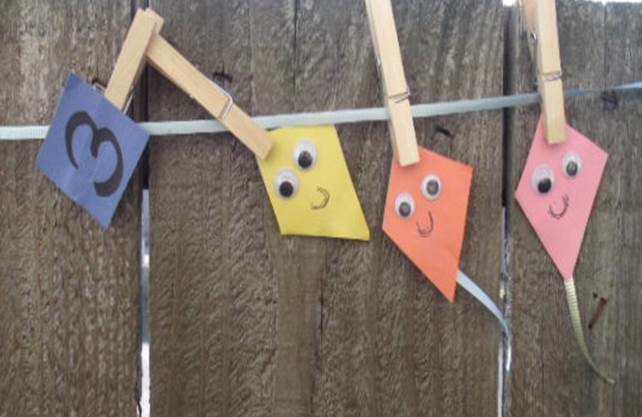 Here is a math clothesline game. Materials needed: clothespins, construction paper, marker, scissors, glue, twine. 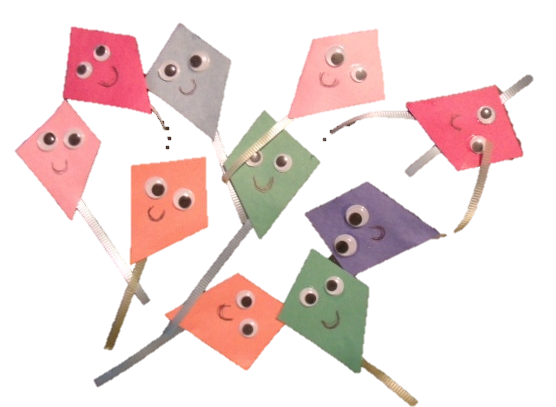 Cut out squares of construction paper and write a number on each one. 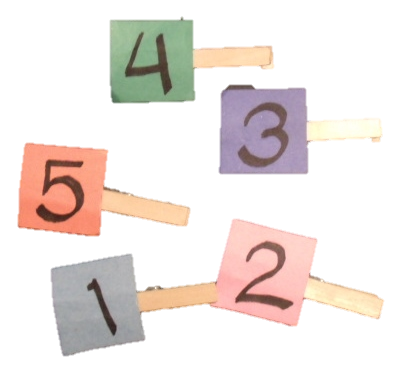 Glue each number to a clothespin. 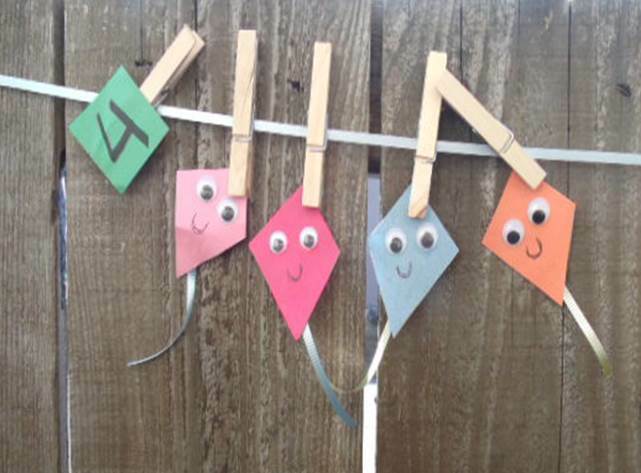 Instructions: Put the numbers in a basket, put the kites in a basket, and put the clothespins in another basket. Have the child choose a number and clip it to the line. 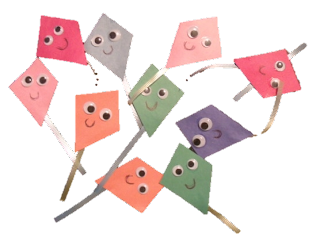 Have the child count out the correct number of kites. Give them clothespins and let them clip them to the line next to the number.